In 2018 let’s start thinking about what we put out into the world. I love words. In my younger years I spent over a decade in magazine publishing and have written numerous articles and books that have achieved moderate to zero acclaim. I got into marketing precisely because it is about telling a story. On the side I continue to write, I’m presently penning a series of short novels which revolve around a soon to happen apocalypse. I married a woman who loves words, a former book editor at a leading London publisher. I live in a town which was home to the greatest writer in the world. it was also home to Marie Corelli one of the best selling authors of all time, but we’ll talk about that another time. So given that I’m up to my neck in words I’m about to rant on a bit about something that’s really started to irritate me. The power of words and language is part of our evolution, passing down learning, thoughts, dreams and ideas from one generation to the other. Words make us who we are and for that reason we should respect them. Many things concern me about modern media: The fact it evolves quickly and endlessly so your online marketing processes are constantly changing. The fact I have to talk about Google a hundred times a day, so empowering and all encompassing that this two decade old company now is at the centre of all our commercial lives. The fact there is simply so much media being generated that’s it’s impossible to consume anything but the merest minuscule fraction, most of it bland filler text, much of it created by robots or $1 an hour third world spinners. Fake news. Social Media Experts. Their There and They’re. I could go on, but my chief gripe about contemporary media is the word ‘Content’. Content to me is the thing that fills a vessel. The contents of a container, the contents of a cereal packet, the contents of a road tanker. It’s the workaday stuff that’s in something. The banal material that fills a void. That we take our words and ideas and reduce them into padding to fills out a section of a website for the benefit of a search engine breaks my heart. Here’s the truth. You don’t need to push stuff out every day just for the sake of pushing stuff out. You need to put out much much less stuff that you actually care about. If you write one article, shoot one video, create one photograph that is actually thought out, that you care about and that’s valuable to someone then you’re being true to yourself. The intended recipient of your idea will know you’re being true to yourself. In an ocean of mediocrity and repetition people want the real you. Dig deep into yourself. It’s your business, your project, it’s a little bit of you and if it’s what you spend your life doing then take pride in it. Above all stop calling it content. Put a little bit of you out there because the world will be grateful for it. In 2018 it’s going to be harder to cut through with your message than ever before. The internet has made us all connect but it’s also created 5 billion people that are all shouting. Let 2018 be the year of quality and let’s agree that we stop calling it content from now on. So in the early 1950’s the British Government started to ease rationing restrictions that were introduced during the Second World War. One of the first products to be freely available again was cheese. The only problem was that Brits had become so used to not eating cheese that they needed to be prompted to start buying it again. Step forward J Walter Thompson, an advertising agency that was in partnership with The Cheese Bureau, a body established by cheese producers and the Government to promote the sale of cheese. Now The Cheese Bureau didn’t invent the notion of eating cheese with bread, for nearly 1000 years this has been the staple of the English worker, but to combine it with some relish and put it on a plate to be served in restaurants as an actual meal was a revelation. 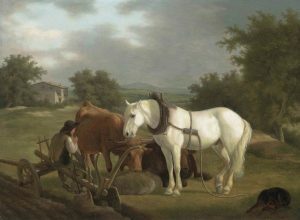 Married with evocative pictures of plough horses and English countryside the ploughmans took off. During the 60’s & 70’s it was one of the most popular dishes in English restuarants and it kickstarted a revolution in British cheese manufacture. Today in Britain 98% of households regularly each cheese. We consume 700,000 tonnes of the stuff and produce 700 named cheeses. And it all came from a nice little advertising idea from JWT. JWT and The Cheese Bureau knew that we had the capability to produce cheese but they had to create a story to get people to start buying it. Buying decisions aren’t always strictly logical. Customers know they can buy your product or service but you have to give them a reason to give you a try. You have to package your offering to cut through to those emotive, often irrational desires. The methods are always different as each sector is different but start by thinking what your story is rather than just the product or service you are selling. Once you’ve realised what this is start telling people about it. 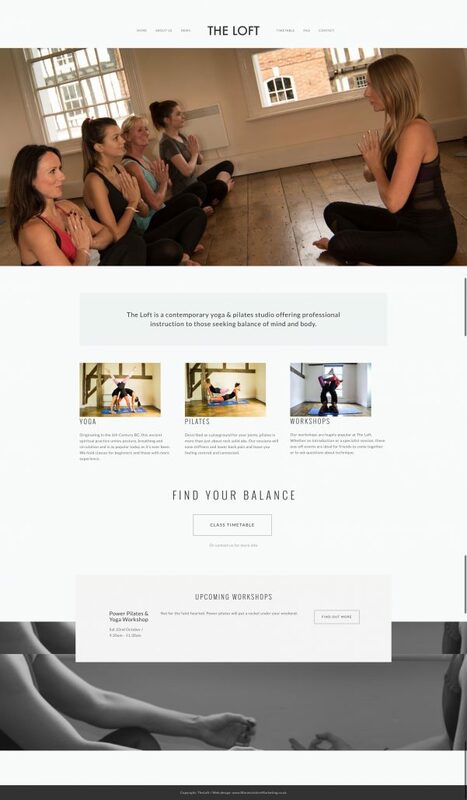 We were approached by Kate and Charlotte to produce a website for their new fitness centre which has recently opened in the centre of Stratford upon Avon. Ostensibly a Yoga and Pilates facility The Loft is a stunning minimalist space with polished wooden floors and a big mirror up one end. It also happens to be in one of the oldest buildings in the town which gives it a unique character. It’s a lovely space. Team Loft also offered to introduce me to Yoga one night and I’m hooked! With gym names short on the ground they are also one of our first clients to use one of the new TLD (top level domain) which have recently been released. Check out the site at www.TheLoft.fit or click on the image below. Google is committed to enabling their users to be able to explore the world from the comfort of their own home. 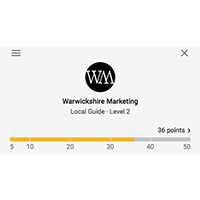 They prioritise photos in Search and Maps so by adding photos that showcase your business, whether it’s a shop, clinic or café, then they can help people find your business through Google, the world’s largest search engine. High resolution, seamless 360 photos give prospective customers a chance to view the layout, décor and all the hard work you’ve put into making your business the best it can be. You can also link these photos to your business website, boosting your website at the same time. 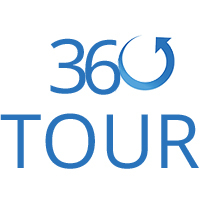 A Google 360 video tour can be viewed on a pc, laptop, tablet and mobile phone so they are an important marketing tool. Allowing your customers to view your business online can be an invaluable way to boost to customer confidence. There’s nothing stopping you upload images yourself, but a Google Trusted Photographer has received a certification from Google based on the high quality images they have produced. Certain standards are expected, including a seamless stitching of the images and ensuring privacy rules are respected. They will also upload and publish them on the respective Google properties. 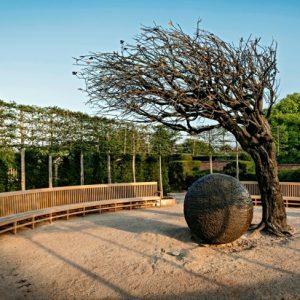 Last Saturday, the site of Shakespeare’s last resting place, New Place Gardens, were reopened to the public, so they could see the fruits of a £6million project to provide visitors with a window onto the great man’s world. Starting with the impressive oak and bronze gateway, the gardens aim to tell the story of Shakespeare’s life from boyhood to adulthood and explore the legacy left by his plays. The money to transform the gardens to honour the 400th anniversary of his death were provided by the Heritage Lottery Fund, Historic England, the Wolfson Foundation, and through money raised by the Shakespeare Birthplace Trust. As Stratford-upon-Avon residents, we were delighted to learn that we could enjoy the Gardens for free, so on a beautiful sunny morning, the whole family went down to take a look. Gav took some 360 photos which can be viewed on Google Maps for anyone else interested in this amazing and inspirational space.